Orville (Orv) A. Kersten, age 83, of Elgin, formerly of DeKalb, passed away Wednesday, April 3, 2019, at St. Joseph Hospital in Elgin, Illinois. He was born January 7, 1936, in Milwaukee, Wisconsin, the son of Arthur and Norma (Bau) Kersten. 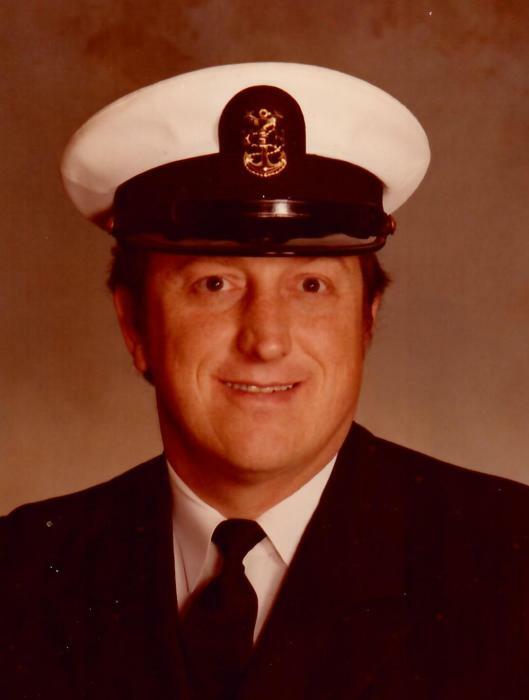 Orv proudly served his country in the United States Navy and the Naval Reserves for forty years, attaining the rank of Master Chief Petty Officer. He received his Bachelors Degree from UW LaCrosse, where he was a member of the swim team. He earned his Masters Degree from the University of Iowa. Orv was a professor at Northern Illinois University for 29 years in the Department of Kinesiology and Physical Education. He served as the head coach of both the Men’s Swimming Team and the Men’s Tennis Team during his tenure at NIU. Orv loved sports and was a registered IHSA umpire and a starter for swim meets for both the NCAA and IHSA. He enjoyed crossword puzzles and challenging his mind with history and trivia. Orv was also very active in community theatre. His favorite pastime was spending time with his family and friends, who will miss him dearly. Orv is survived by his loving wife, Rev. Dr. Linda, of 31 years; his children: Becky (David) Myroth of Rochelle, Brett Kersten and Elizabeth of Davis, California, Laura (Brock) Sanderson of Lee, Grant Kersten of DeKalb, and Tara Kersten of Greenfield, Wisconsin; his grandchildren: Jacob, Paige, and Brooke Myroth, and Trent, Talon, and Trace Mencias; his sisters: Judy (Bill) Molenda, of The Villages, Florida, Rosie (Larry) Froemming of Beloit, Wisconsin, and Debbie (Dan) Kohls of Lewisville, Texas; step-children: Peggy Hatch of St. Charles, Paul (Joy) Walker of Jacksonville, Florida, Pete Walker of Maple Park, and Mark (Rebecca) Walker of Aurora; step-grandchildren: Thomas and Peter, Anne Scott and Jillian, Charlene and Alison, and Michael, Sam, and Aaron; and many other dear relatives and friends. Orv was preceded in death by his parents, son Bradley Kersten, and his first wife, Dianne. A Memorial Service for Orv will be held Thursday, April 11, 2019. There will be fellowship at 10:30 a.m., with the service following at 11:00 a.m. at Geneva Lutheran Church, 301 S. 3rd Street, Geneva, Illinois, with Pastor Trudy Stoffel officiating. Burial will be private. In lieu of flowers, memorials to Stagecoach Players, 126 S. First Street, DeKalb, IL 60115 would be appreciated. Arrangements are being handled by Malone Funeral Home, Geneva.